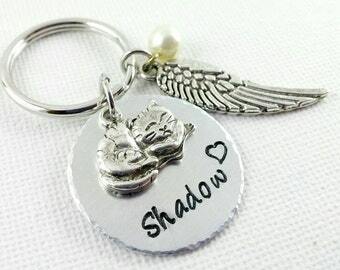 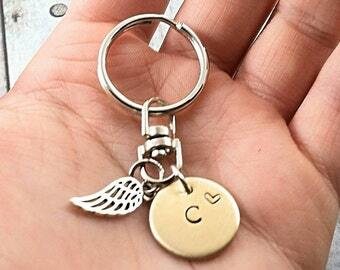 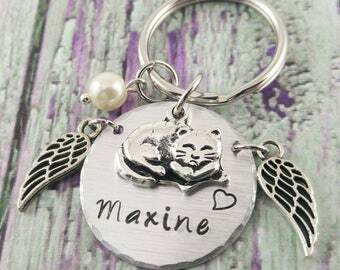 This infant loss custom memorial keychain will make a lovely keepsake! 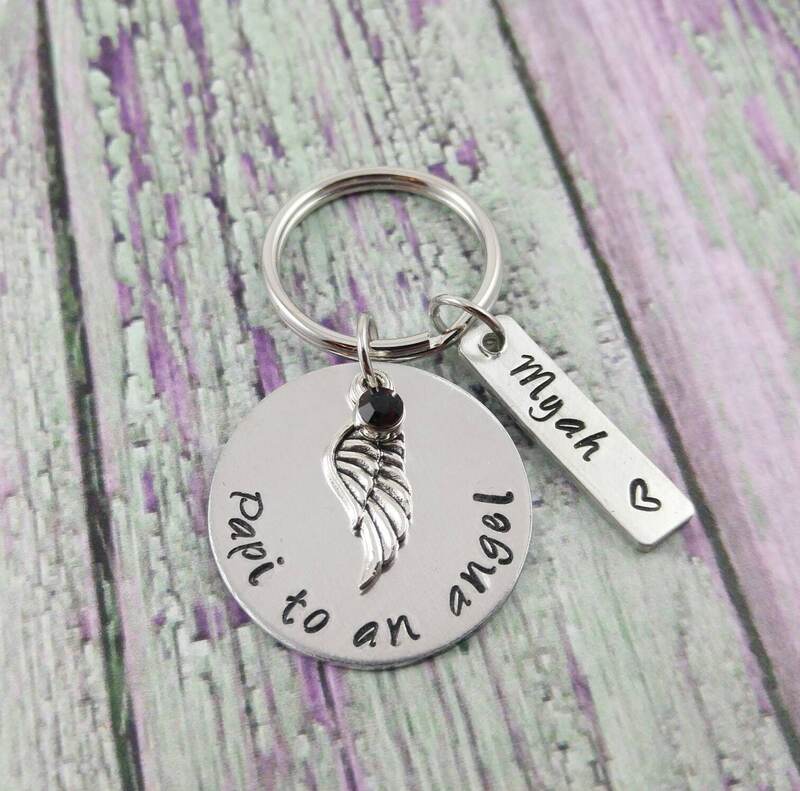 The 1 1/8" aluminum disc carries the quote:~"Papi to an angel"~, a lovely small antique silver angel wing and a small birthstone. 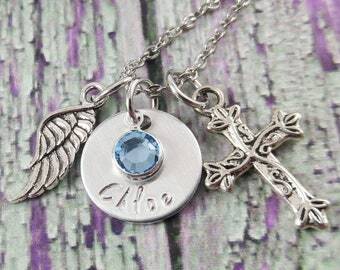 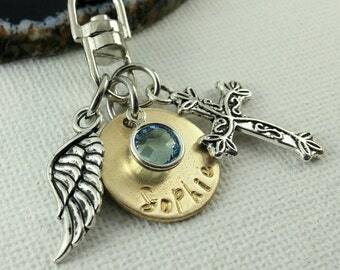 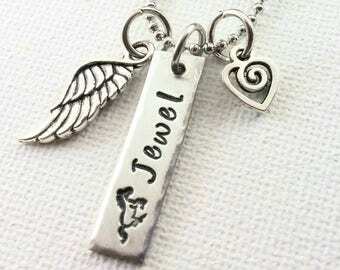 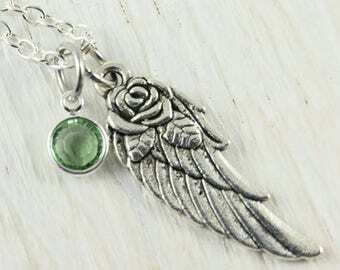 *I used a 1/4" x 1" pewter tag for the name of your loved one and a decorative silver tone ring to attach the pendants. 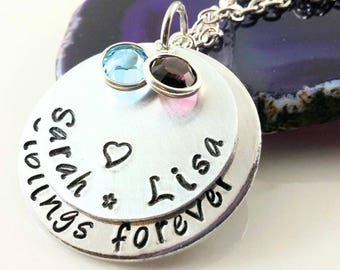 Please write the name in the message box during check out and choose your birthstone in the drop down menu. 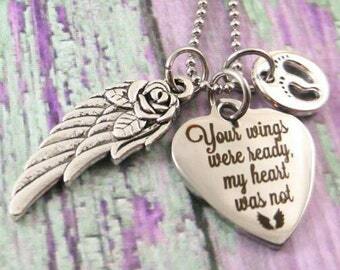 Very quick. 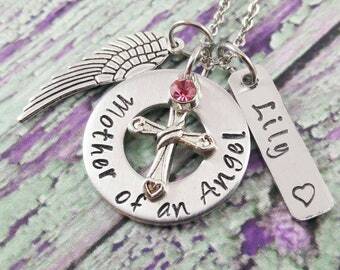 The mom will love it without a doubt.